The day hadn’t been going well for me. I slipped while rushing to catch an MRT earlier that day, dented my laptop (which now has an out of shape port) during the fall, had my fully filled water bottle screw open in my bag due to the impact of the fall and totally drenching the contents of my bag. 2. I feel sick over the week and just finished my dose of anti-biotics. 3. Due to (1) and (2), I didn’t manage to achieve my aim for having at least 2 “atas” meals in the recess week. 4. People around me have been unconsciously getting me down. 5. Social life has effectively been put on hold. Hence, I desperately needed this Prego lunch to go well. Sadly there was 1 more bump on the road. When I took out my camera to snap some food pics, I realised that it had died (more specifically, drowned due to the earlier events). Fortunately, R was there with her trusty Olympus compact camera to save the day. Call me o-biang but it was only 3 days ago did I find out that Prego is tucked away at some obscure corner of Raffles City, which is linked to Fairmount Singapore (I didn’t know that either!). Prego’s set lunch is priced at $40++ but I felt that their current 1-for-1 Main Course Citibank promotion (only applicable during weekday lunch) was of more value. 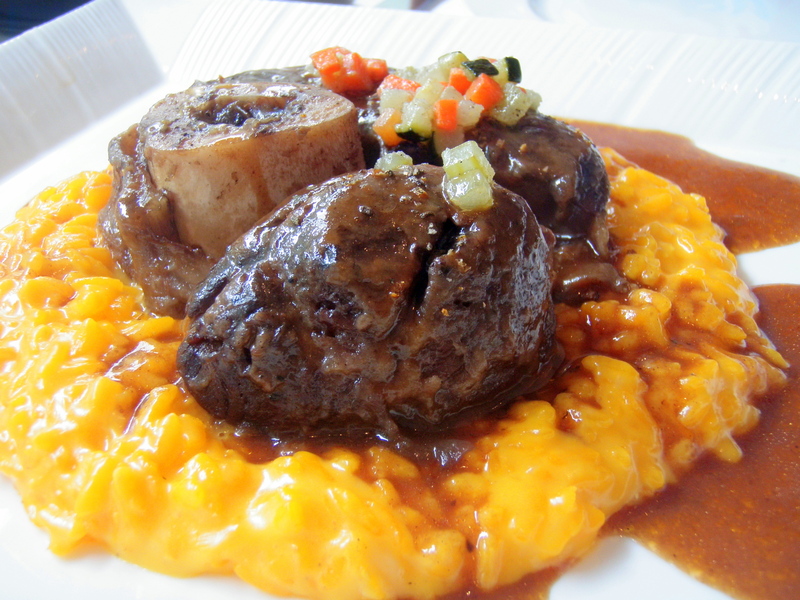 After all, it left me with a larger variety of choice for mains. 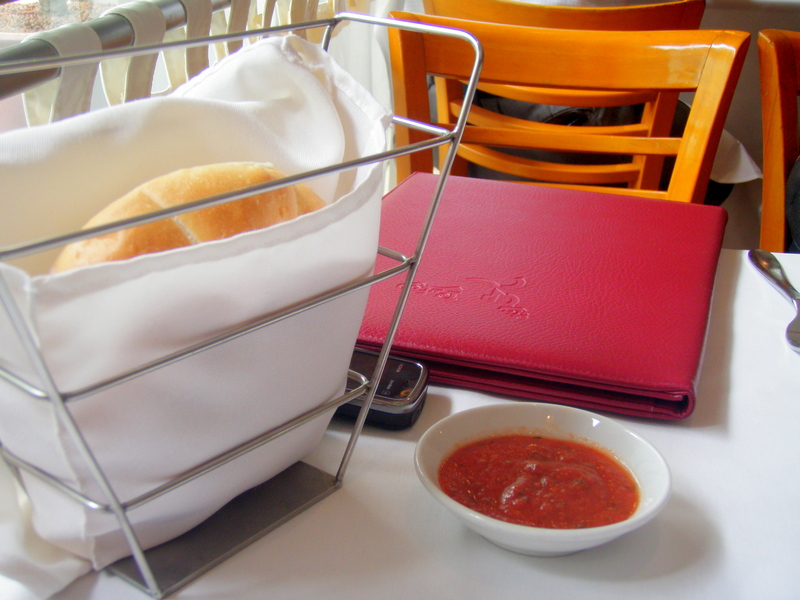 The Complimentary bread here comes with a lovely salsa dip which I found really appetizing. 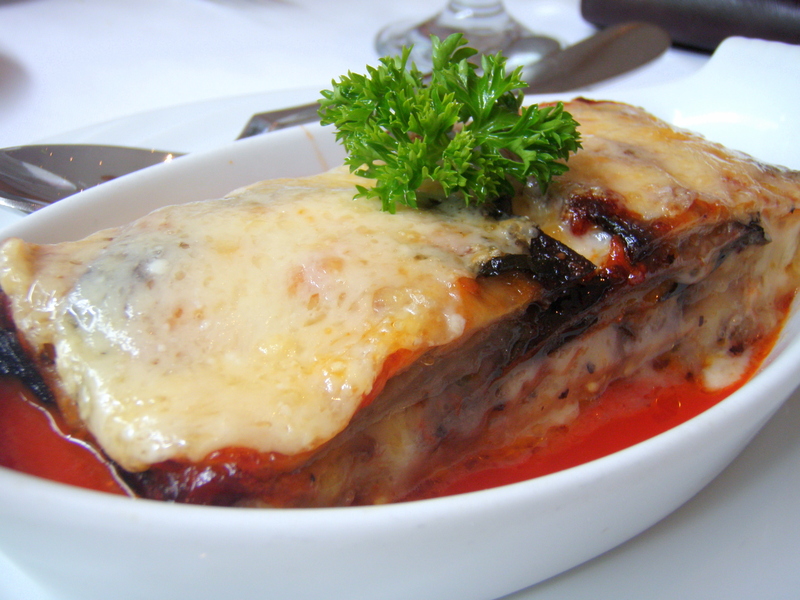 One of Prego’s signature dishes, I found the Baked Eggplant light-heartedly pleasing with eggplant cooked till it’s fibers were soft and tender. 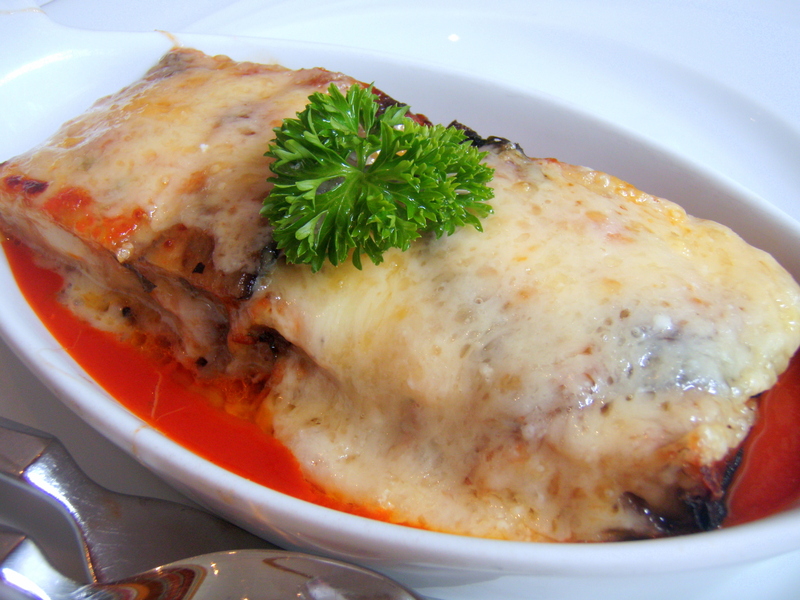 It looks so much like a lasagna, and tastes like it too! The taste of eggplant isn’t very strong, but it isn’t overpowered by the tomato base nor cheese either. I would definitely order this again! 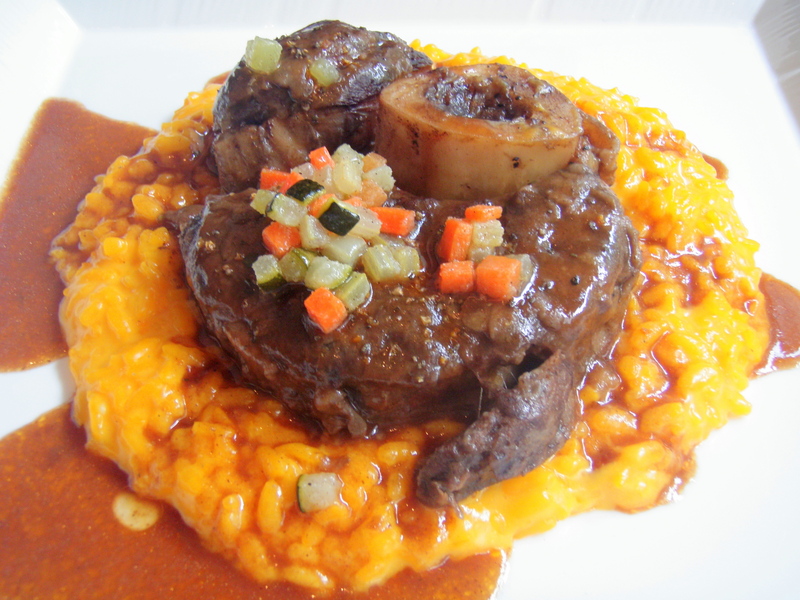 The Veal Shank was tasty and pretty decently executed, notwithstanding the slight gamey taste. The Risotto that came along with it was quite a bit too much on the cheesy side and reminded me of Mac & Cheese, lucky for them I’m a cheese lover. 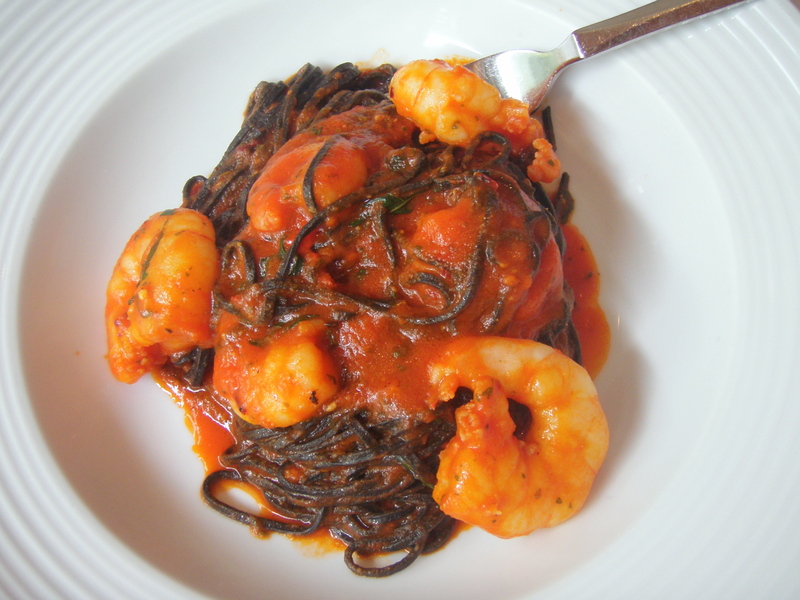 Being an Italian restaurant, we anticipated a mind-blowing Squid Ink Pasta. We were left sadly disappointed. It turned out to be really average pasta with only prawns (that’s just too boring!). The tomato base was slightly spicy yet somehow, the spice didn’t lure me back for more or made me slurp up the pasta faster. Though the food wasn’t really fantastic, I might just be tempted return to capitalize on the 1-for-1 one more time. thx for your kind comments!